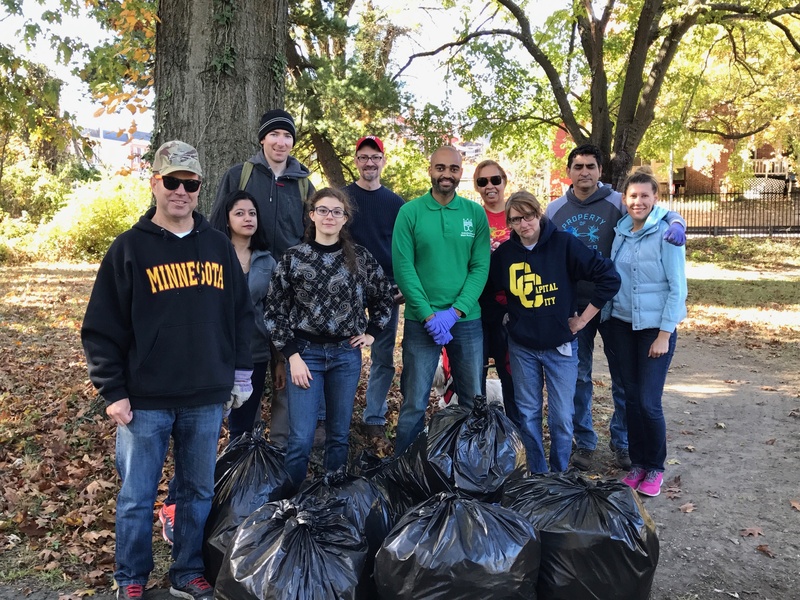 November Georgia Avenue Thrive Clean Up Makes Impact at Soldiers Home | Park View, D.C. 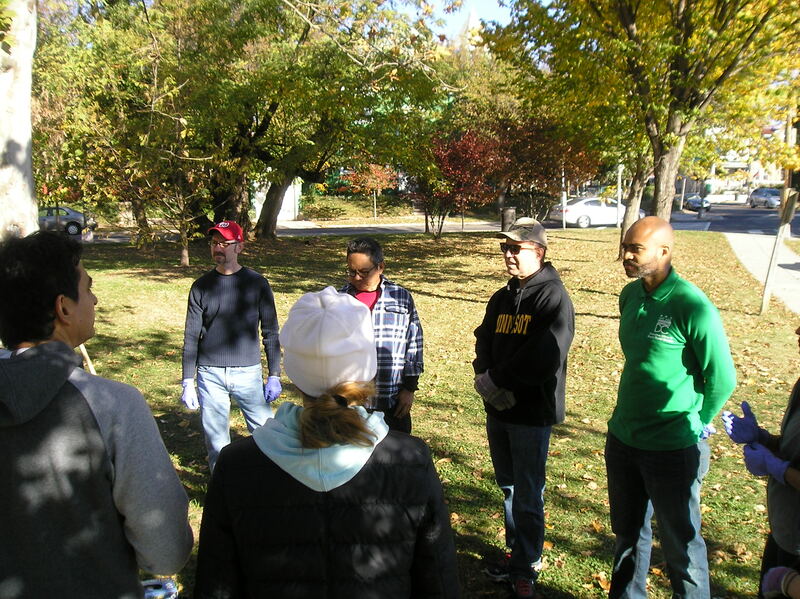 The Georgia Avenue Thrive monthly cleanup that occurred on Saturday, November 5th, not only helped clean up Park View, but also made the Armed Forces Retirement Home that much cleaner through a collaboration with the Friends of the Soldiers Home organization. The clean up began shortly after 10 a.m. in the triangle park at Rock Creek Church Rd and Park Place. 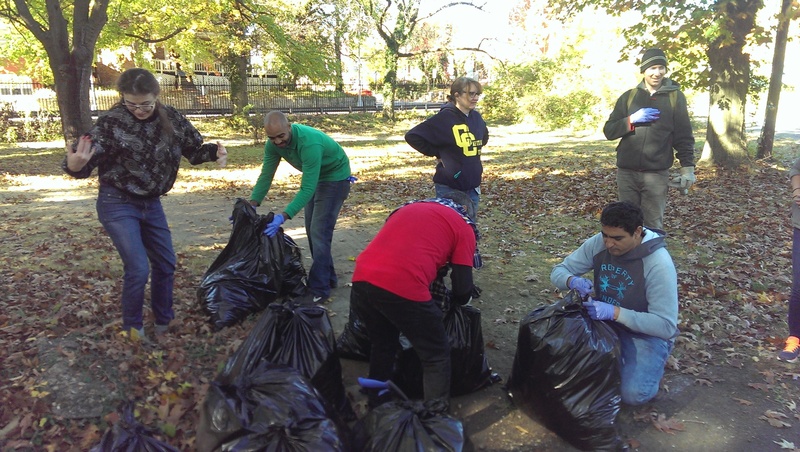 For the first hour, volunteers fanned out in the neighborhood and cleaned up some of the various trash located along the street. This lasted until 11 a.m., at which time the volunteers headed up to the Soldiers’ Home’s Randolph gate. Once in the Soldiers’ Home, clean up activities focused on the fence area along Park Place from Kenyon Street north to Luray. All in all, a great deal of trash — mostly discarded bottles and cans — were removed from the grounds. This entry was posted on November 7, 2016 at 7:01 am and is filed under Community Involvement. You can subscribe via RSS 2.0 feed to this post's comments. we will try and join the next round, thanks for the great work!